Come a little closer, Neato Readers. 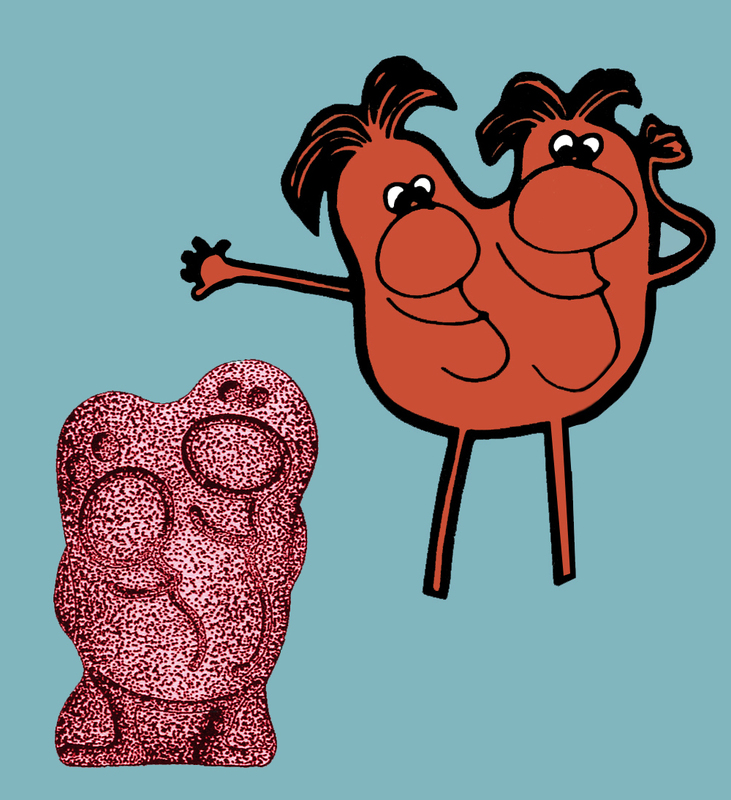 Today, I’m happy to report on some new scare-umptious info about Bristol-Myers’ Monster Multiple Vitamins. These little happy monsters have been a faded memory for many 70’s kids. 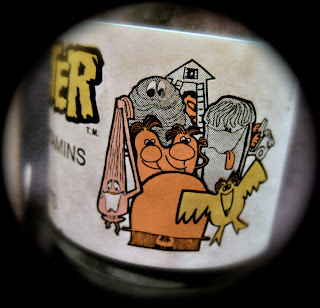 Since I'm one of those 70's kids, I blogged about my early and faded Monster Vitamins memories back during the 2007 Halloween countdown. Click here to view the first post. 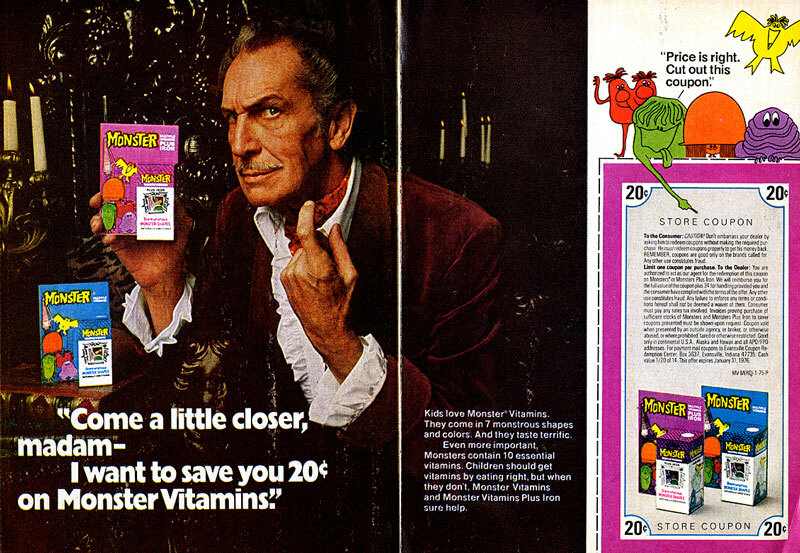 One of the most requested Monster Vitamins items is the famous commercial with Vincent Price. 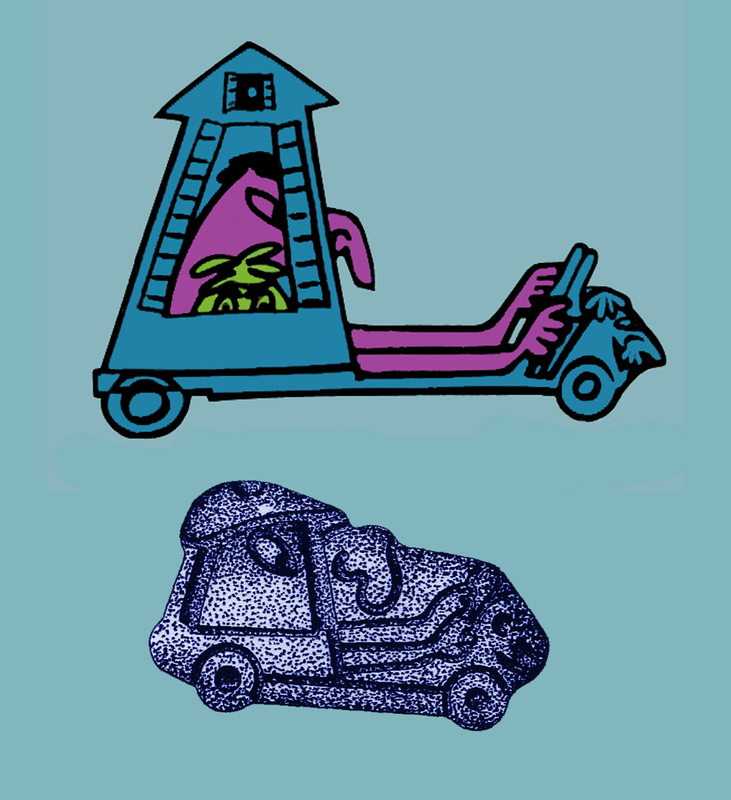 It has rarely been seen since it originally aired back in the mid-70’s. Now don’t get too excited because we still don’t have the commercial, but we have the next best thing, the commercial’s art director. 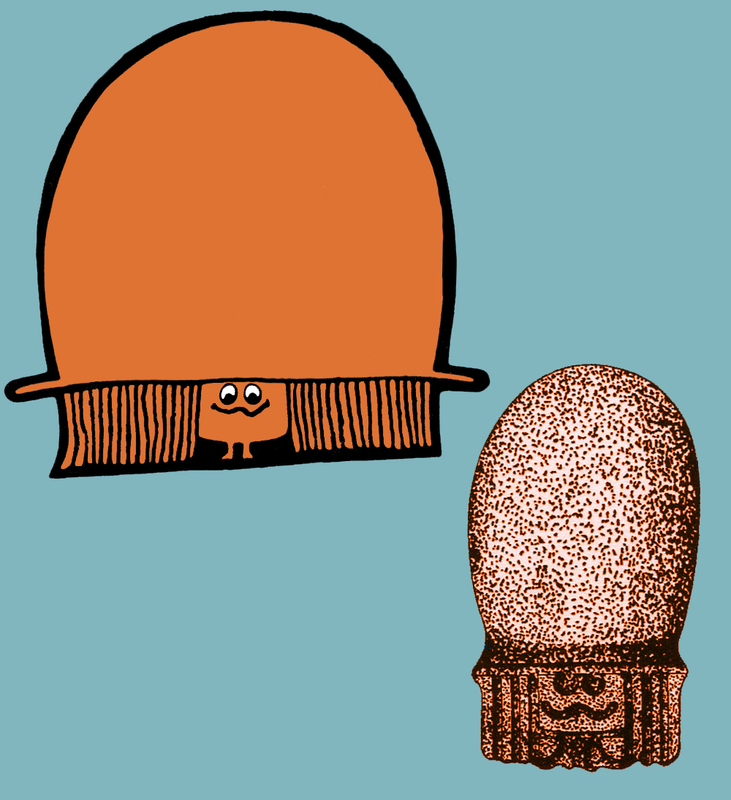 Meet the CLIO award winning art director Warren Godfrey. 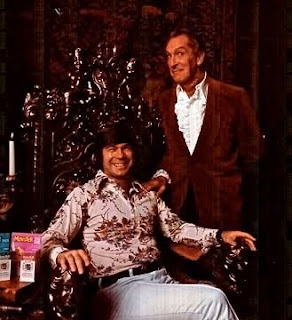 He's pictured with Vincent in this never before seen photo from the print ad photo shoot. 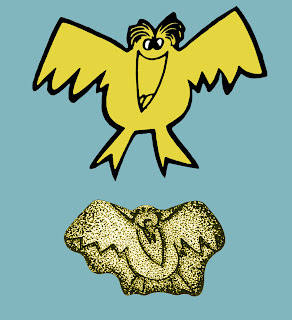 Warren, now retired, worked in advertising as an art director for 52 years. He developed commercials for Lampert Agency, Cunningham & Walsh, NW Advertising, Hicks & Greist, Ketchum, Ogilvy, Wunderman and many more. 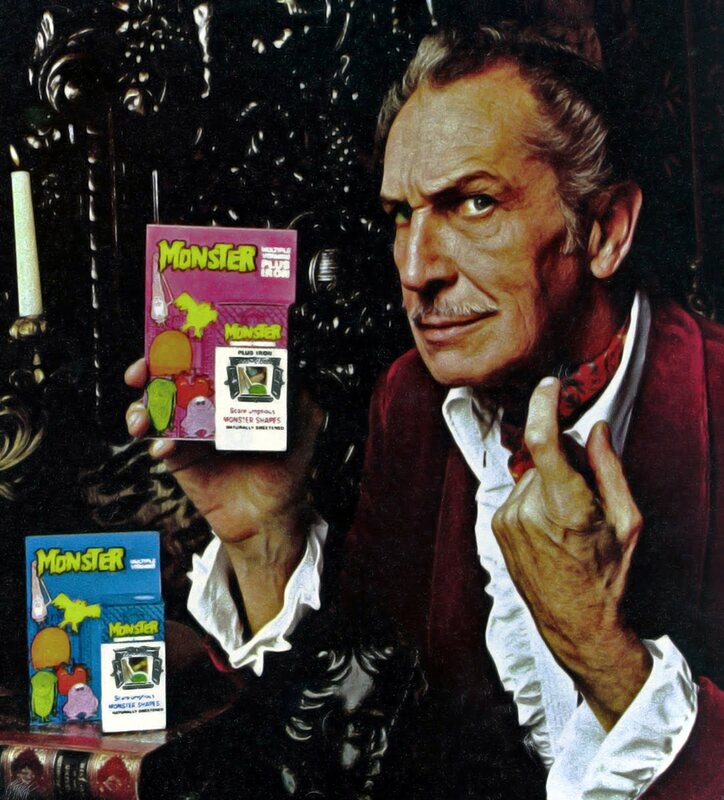 The Monster Vitamins commercial with Vincent Price remains as one of his favorite commercials. In Warren’s own words, he describes the commercial. I asked Warren what it was like to work with Vincent. Today, Warren is an accomplished folk artist and his amazing paintings can be viewed and purchased at his website here. 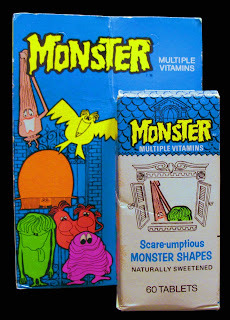 Another Monster Vitamins mystery has been the names of the monsters. 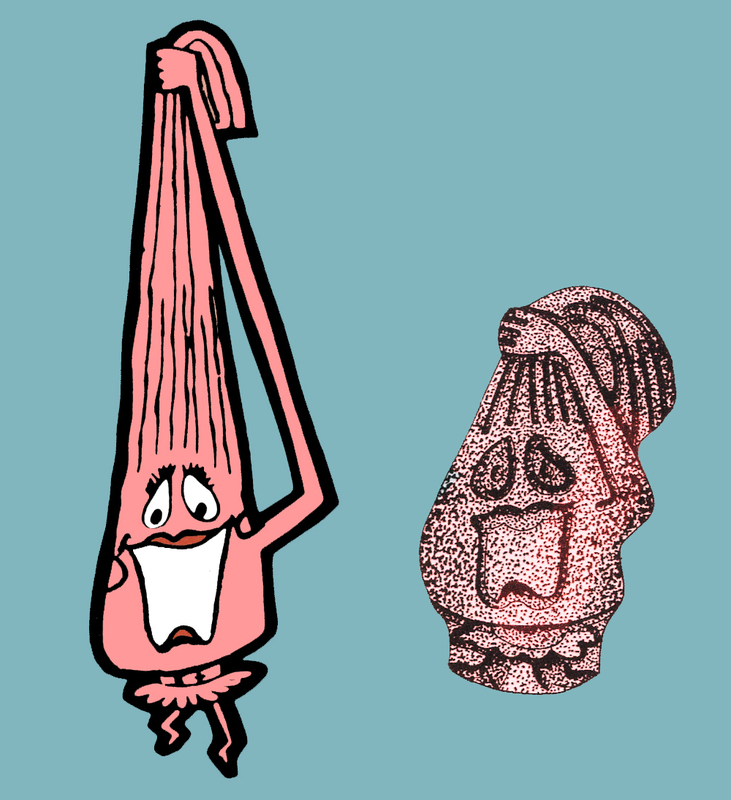 Warren remembered two, Screaming Mimi and Babbly Bat, but the other monster names were lost to time. Today the name mystery has been solved! 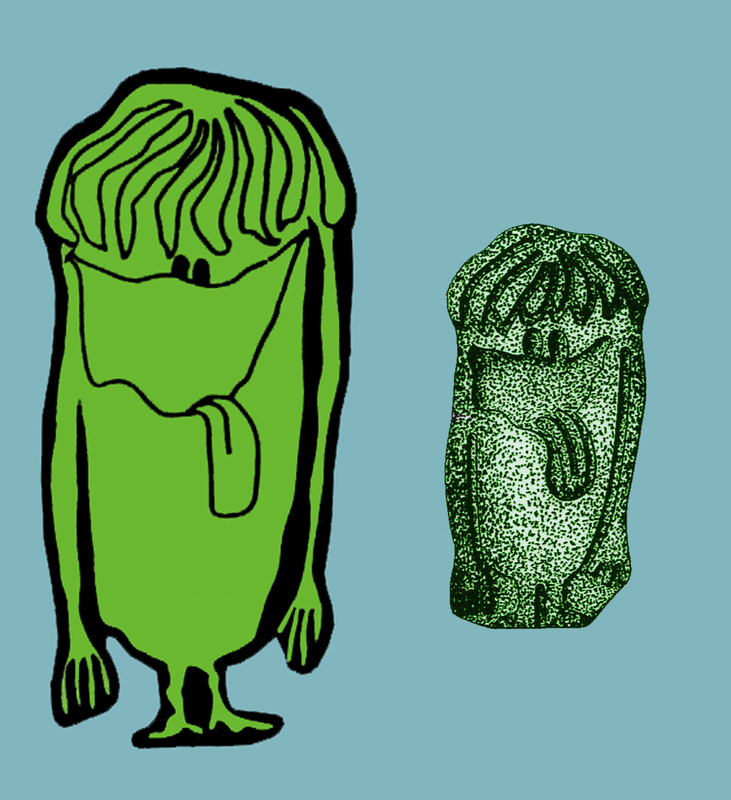 Now meet the Monster Multiples! 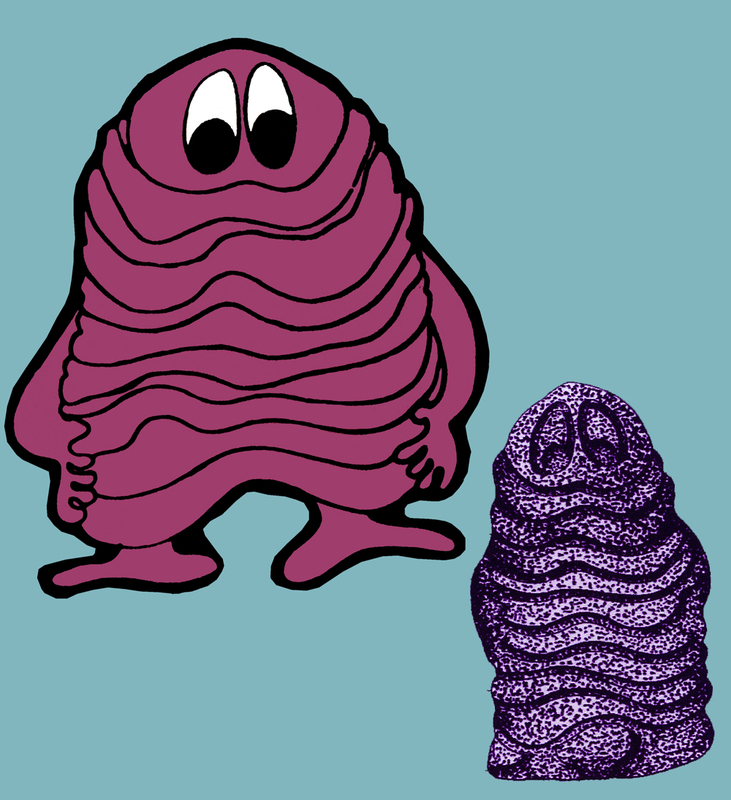 I've added each Monster's name below their respective images and vitamin shape. 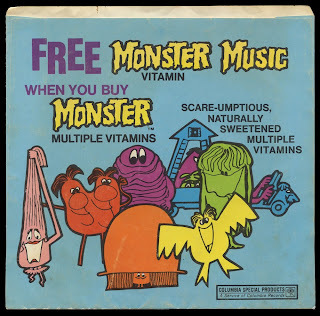 Learning the monster names was a double whammy of goodness because I learned them from this uber-rare Monster Vitamins record. 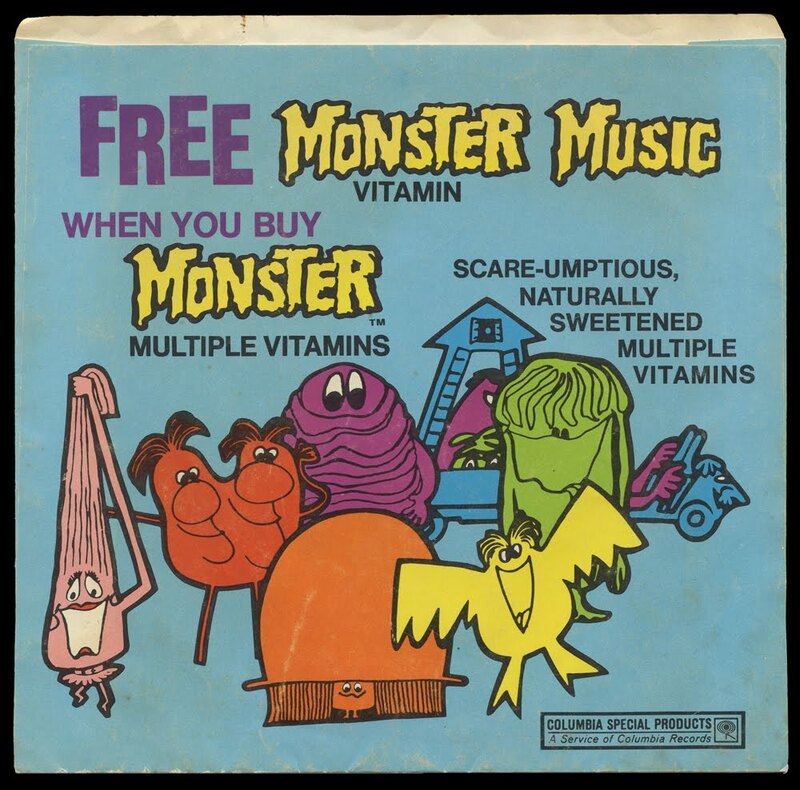 I'm not exactly sure when this record was offered, but it was one of the few, if only give-away premiums for Monster Vitamins. This record belongs to super collector and artist Dan Goodsell! 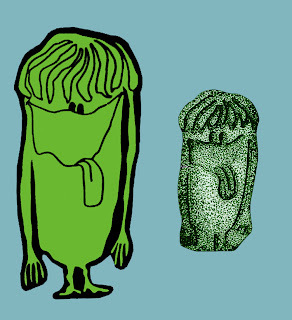 Now join the monster party and listen to the record via these two YouTube videos. 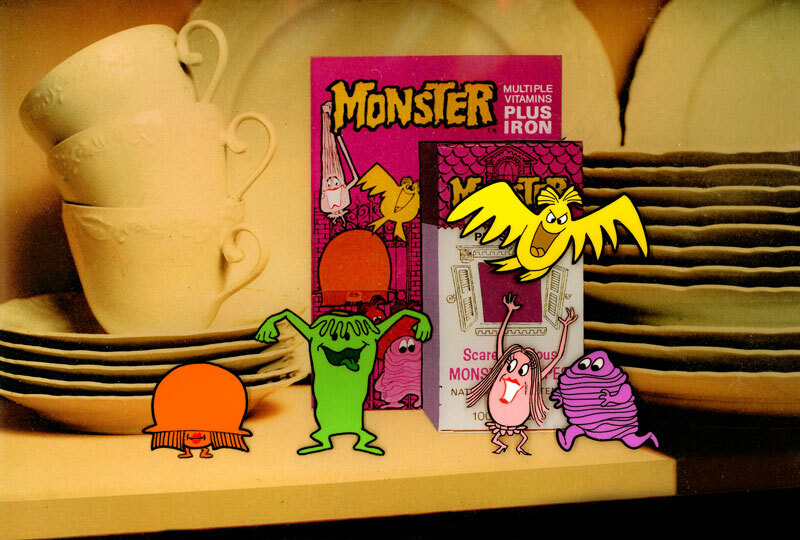 There's still many mysteries related to Monster Vitamins, like the true origins of the product and who designed the monsters. 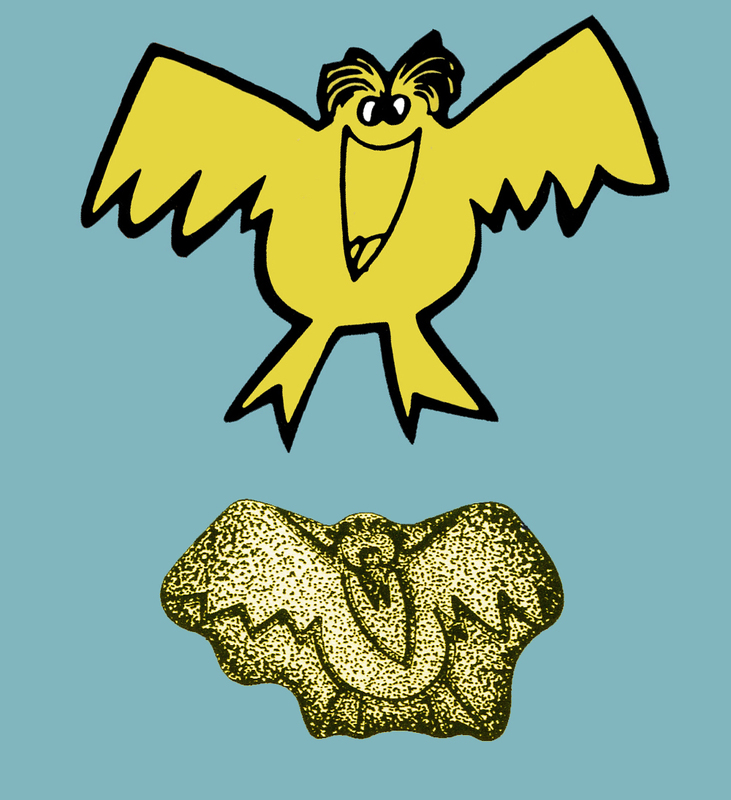 Eventually these mysteries will be revealed, but until then, we can now address each monster by name. You just never know when you might see one walking down the street! A big thanks to Warren Godfrey for supplying his memories and photograph! Also a big thanks goes to Dan Goodsell for sharing his record! I never knew...that is too much, much too much. Totally beats Flintstones all the way to the Devonian Age. Wow. This is like the very thinnest of lost memories. I vaguely recall them, the picture of the bottle/box is what resonates the most. Very cool! Typical NC, saving the best posts for the last. Very cool. Wish I had them up here. Don't remember them at all. I can't believe someone else besides me remembers their existence! I never expected to see these again. Thanks! Very good sleuthing to find all these interesting fun facts. Thanks for sharing it all. This is excellent reporting Todd. I can dimly remember this product, but I never tried them. I was a Pals kid. No wonder these vitamins didn't stay around...what little kid wants to take something named after a stinky cheese?